The number one high school football recruit in the country, Najee Harris of Antioch High in Antioch, California is sticking with his commitment to the University of Alabama and will not decommit and attend the University of Michigan. According to his trainer Marcus Malu, owner of Malu Fitness, Harris arrived on campus Sunday and will enroll Monday as spring semester classes begin Wednesday. Harris graduated from Antioch High School Dec. 22 — a semester earlier than most students in the Class of 2017 — to get a head start on practicing with his college team during spring ball. He committed to Alabama as a sophomore in April 2015, but kept his recruitment status open and strongly considered Michigan. Many people thought Harris would change his decision based on the rapport developed with head coach Jim Harbaugh, who visited Antioch three times last year — most notably at Antioch’s Homecoming Game on Oct. 23, where he announced the Homecoming Queen winner. 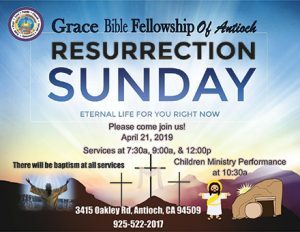 However, Alabama Head Coach Nick Saban also made a visit to Antioch to meet with Harris in mid-December, which might have helped solidify the five-star running back’s decision. Harris rushed for the most career yards in Northern California history with 7,948 on top of scoring 99 touchdowns. 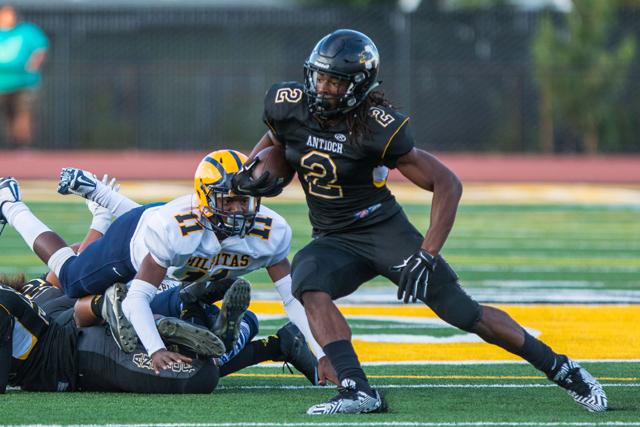 But Harris has gone on record saying his proudest accomplishment was leading Antioch to its first league championship in 31 years in his junior year as the team finished the regular season undefeated (10-0). 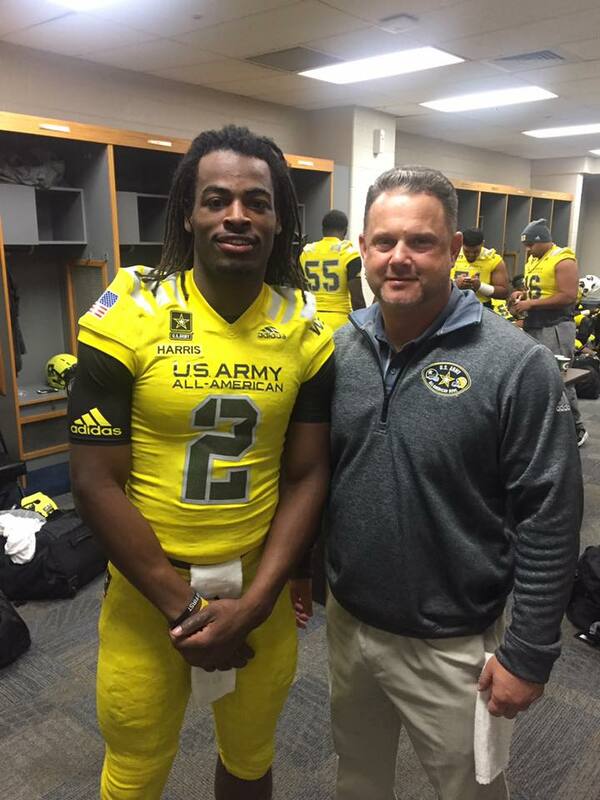 He became the first Antioch student to participate in the U.S. Army All-American Bowl. He represented the West, whose offense struggled and only scored 10 points in a 27-17 defeat to the East in the Alamodome in San Antonio, Texas. After the game Saturday, Harris told reporters he was still undecided. However, he was seen arriving at Birmingham International Airport in Alabama the next morning. Newly elected County Supervisor Diane Burgis will take her oath of office, along with re-elected Supervisors Federal Glover and Candace Andersen, at a ceremony during the regular meeting of the Board of Supervisors at 9:00 a.m. in Martinez, Tuesday, January 10, 2017. Burgis will then hold a Community Reception and Open House later in the day. “Thank you for electing me to represent you on the Contra Costa County Board of Supervisors. I am incredibly honored to have this opportunity to fight for you and our local priorities,” Burgis said. 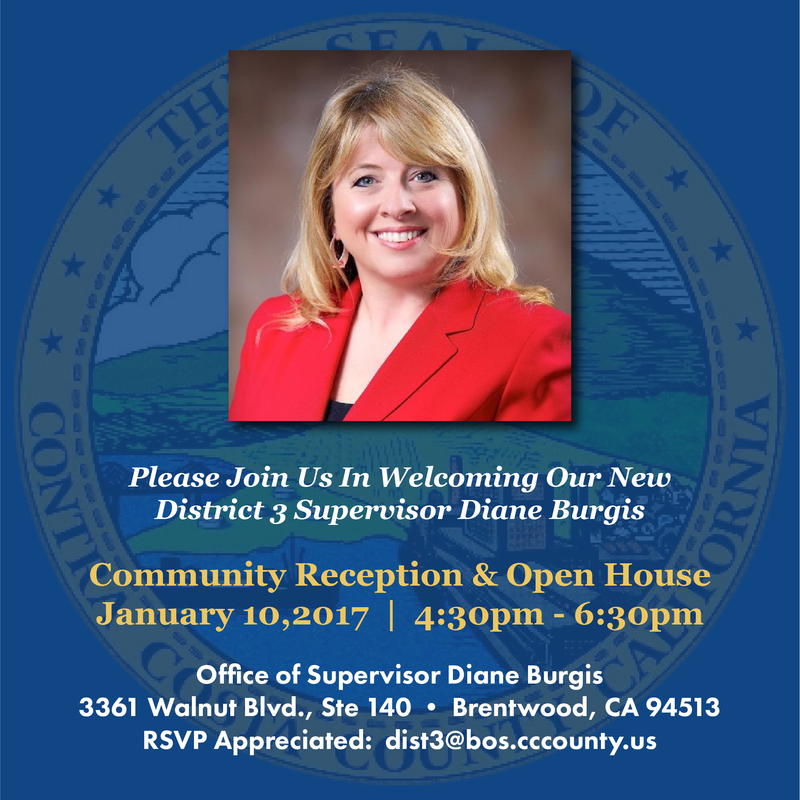 “I hope you will be able to join me, my amazing staff and our neighbors in celebrating the new year at my first District 3 Community Reception and Open House this Tuesday, January 10, 2017 from 4:30 p.m. to 6:30 p.m. The oath of office ceremony will be followed by a reorganization of the Board, with the election of the new Chair, which is expected to be Glover and Vice Chair, expected to be Karen Mitchoff. 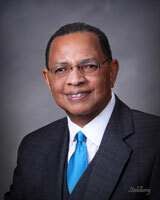 The Board will then vote on Glover’s nominations of the board members to various county committees and regional boards. 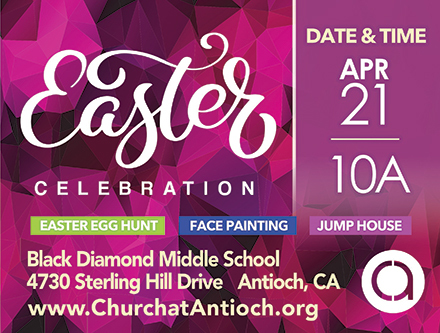 District 3 includes most of Antioch, as well as Oakley, Brentwood, Discovery Bay, Bethel Island, Byron and Knightsen in East County, as well as Blackhawk and Camino Tassajara in the San Ramon Valley. The Contra Costa CHP announced today, Wednesday, January 4, 2017, they have learned that the male driver from Martinez in the fatal collision on Friday, December 30th which took the life of his 74-year-old female passenger has also died. He was pronounced deceased at the hospital on Sunday, Jan. 1, 2017. This is still an ongoing investigation. On Wednesday, December 30th, at about 9:57 am, Contra Costa CHP was advised of a solo vehicle traffic collision at eastbound SR-4 to the southbound I-680 connector. Upon CHP and emergency personnel arrival, the driver (79 year old male from Martinez) and his passenger (a 74 year old female also from Martinez) had both sustained major injuries. In the initial investigation, it appears that the driver was traveling on eastbound SR-4 and transitioning to the connector ramp to I-680 southbound. For unknown reasons, the driver overshot the I-680 ramp and drove his Chrysler sedan off the roadway and down the dirt embankment and continued to drive until he collided with a concrete divider. Both the driver and passenger were transported to John Muir hospital in Walnut Creek for major life threatening injuries. While at the hospital, the female passenger succumbed to her injuries and was pronounced deceased. The male driver was in critical condition. Alcohol or drugs do not appear to be a factor in this collision. This collision is still under investigation and if anyone witnessed this collision or the events leading up to it, please contact Contra Costa CHP. This was the second fatal accident on Highway 4 last week. The first one occurred on Wednesday, Dec. 28. At about 7:59 PM that night, Contra Costa CHP was advised of a two vehicle traffic collision at westbound SR-4 just east of Port Chicago Highway involving two vehicles with one party trapped inside her overturned vehicle. Upon CHP and emergency personnel arrival, Party 1 (a 60 yr old female from San Jose) was pronounced deceased on scene. In the initial investigation, it appears that Party 1 was traveling at a high rate of speed westbound on SR-4, within the #3 lane, and approaching Party 2 (a 64 year old male from Pittsburg), also in the #3 lane at about 70mph. Party 1 veered into the #4 lane and attempted to pass Party 2 but lost control of her 2001 Toyota Camry and then veered back into the #3 lane and collided with the front of Party 2’s 2012 Toyota Corolla. Both vehicles continued toward the center divider and Party 1’s Camry collided with the center metal guard rail and overturned. Party 1 was partially ejected and subsequently crushed by her own overturned vehicle. Party 2 was uninjured. It is unknown if alcohol or drugs are a factor in this collision. If anyone witnessed this collision or the events leading up to it, please contact Contra Costa CHP and investigating Officer N. Johnson. On Wednesday, December 28, 2016 at about 9:40 AM, Deputy Sheriffs were requested at a medical call on the 2200 block of Willow Pass Road in Bay Point. A person was reported to be bleeding. Deputies arrived finding a person suffering from a gunshot wound. The victim, an 18-year-old man, was taken to a local hospital, where he was later pronounced deceased. He is not being identified at this time. An autopsy was scheduled for Dec. 29th. Detectives and Crime Lab personnel responded to the scene; several people were interviewed. The investigation is ongoing. At this point, the shooting appears to be accidental. Anyone with any information on this incident is asked to contact the Office of the Sheriff at (925) 646-2441. For any tips, call (866) 846-3592 to leave an anonymous voice message or email: tips@so.cccounty.us. Says he believes he had degree at time he wrote his candidate statement in 2014; retired Dean confirms Belle completed all course work for degree. Jeff Belle, source Contra Costa County Board of Education. Belle was approved for a diversion program in which he agreed to perform 20 hours of community service and to write the declaration saying he does not in fact have a bachelor’s degree and to obey all laws. Once he submits proof of his community service, the case will possibly be dismissed in either June or December of next year. However, Moawad wouldn’t commit to that. “I, Jeffrey Belle, state that in 2014 I filed my candidate’s statement for the office of Trustee to the Contra Costa County Board of Education. I drafted the statement to be accurate, true, and complete. I stressed my experience as an educator and also mentioned some of my educational achievements. I mentioned, among several other achievements, that I had earned a Bachelor’s Degree in Political Science. I believed then that the statement was true. the registrar’s office at OCU. However, it has now been clarified that I do not have a Bachelor’s Degree from OCU. It was not my intent to misinform the voters regarding my degree. In the future I will be more careful about my statements to ensure no misinterpretation. I state and declare under penalty of perjury, under the laws of the State of California in Contra Costa County, that the foregoing is true and correct to the best of my knowledge. Belle referred questions about his letter to his attorneys. “Talk to Carol or Marsaane about (the) letter,” he said in a message. By participating in the diversion program, Belle avoids a trial and the maximum penalty of a $1,000 fine. However, the case has cost the taxpayers much more than that. The DA’s office began the investigation of Belle’s lie in early 2015 and the prosecution began six months later. The case has included multiple court dates, with Belle and his attorneys delaying the process asking for continuances, until Thursday. The most recent delay in the case included a claim that he’s had cancer has been in the hospital for the past two months getting treatment. “We have the declaration from the Dean of the Department of Political Science Larry Eberhart, who retired before this exploded,” Hehmeyer continued. Which is what Belle ultimately accepted instead of going to trial. “We didn’t have the money for a trial,” she said. The confusion in the case and accusations against Belle stem from the use and definition of the terms “earn” versus “confer” when referring to his college the degree. He only used the phrase “have earned…Bachelor’s degree in Political Science,” when Belle wrote and signed his ballot statement in summer, 2014 at the beginning of the campaign. Belle is currently the Vice President of the county school board. His term ends in 2018. Porsche that was carjacked in Alamo on Monday, Dec. 19, 2016 was recovered following a collision on Tuesday morning. Photo courtesy of CCCSheriff. Tuesday morning, Dec. 20 at about 10:00 AM, the Contra Costa County Office of the Sheriff was notified that the vehicle that was carjacked in Alamo on Monday was apparently involved in a multi-vehicle collision on northbound 880, near 66th Avenue, in Oakland. The unknown driver, who may have been injured, and passenger fled the scene on foot. A Deputy Sheriff responded to the location and confirmed it was the Porsche Boxster that was carjacked. On Monday, at about 2:30 PM, Deputy Sheriffs were dispatched to a report of an armed robbery in a shopping center located on the 3100 block of Danville Boulevard in Alamo. The victim’s husband called in to report that his wife had been carjacked. Upon arrival, Deputies contacted the victim, who stated approximately 15 minutes earlier she was sitting in the driver’s seat of her vehicle with the door open when the suspect forced her out of the car at gunpoint. The suspect entered the car and drove away. The victim was not harmed. Law enforcement agencies were notified to be on the lookout for the stolen vehicle. The vehicle was not located in spite of an extensive search. 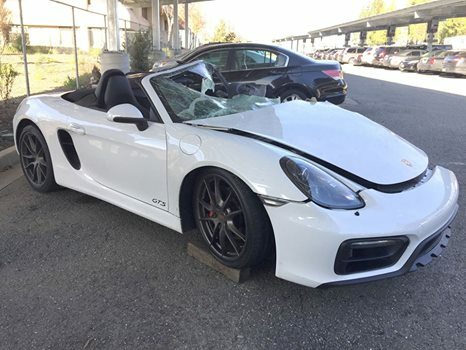 The vehicle was a white colored, convertible, 2-door, 2015 Porsche Boxster with California license plate – 7JEE656. The investigation is still ongoing. A photo of the vehicle is attached. Anyone with any information on this incident is asked to contact the Office of the Sheriff at (925) 313-2600. For any tips, call (866) 846-3592 to leave an anonymous voice message or email: tips@so.cccounty.us. Contra Costa County Health Services announced, today, Tuesday, December 20, 2016, that the cause of the foodborne illness outbreak reported after a Thanksgiving Day charity event in Antioch has been identified. It was caused by the bacteria Clostridium perfringens. 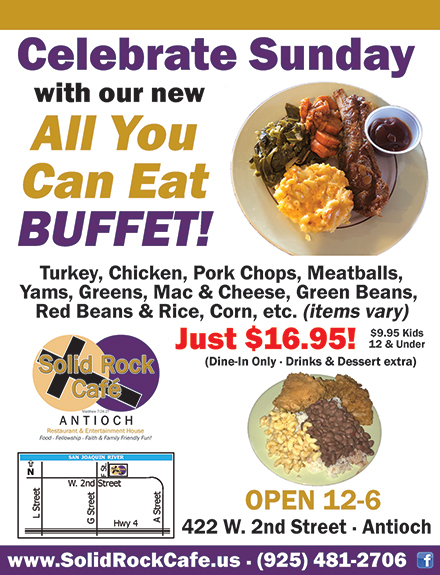 A laboratory at the U.S. Centers for Disease Control & Prevention (CDC) confirmed the presence of the bacteria in stool samples taken from people sickened by food served at the Nov. 24 holiday celebration, held by Golden Hills Community Church of Brentwood and Antioch, at Antioch’s American Legion hall. “Clostridium perfringens is one of the most common foodborne illnesses in the U.S. 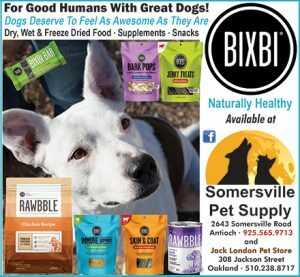 It can be found in the human intestine without hurting us, but eating food containing large amounts of this bacteria can cause illness and in some cases death,” said Dr. Louise McNitt, deputy health officer for Contra Costa Health Services (CCHS). CCHS’ Public Health and Environmental Health divisions investigated 25 related reports of foodborne illness after the event, including three people who died. “Our investigation was not able to determine exactly what people ate that made them sick. But after extensive interviews we found most of the ill people ate turkey and mashed potatoes and they all ate around the same time. Some dishes served at the event, including cooked turkey, were brought to the site after they were prepared in private homes,” said Dr. Marilyn Underwood, CCHS Environmental Health director. Underwood said proper food handling is essential to prevent foodborne illness, including cooking foods to proper temperatures, cooling and storing them appropriately if they are not going to be eaten right away, separating raw meats from foods that won’t be cooked, storing food properly and washing hands and cooking surfaces often. All of the reported illnesses occurred within 24 hours of the patients consuming food from the event. “This is a difficult season for all involved. We as a Christian community will continue to pray for those who are ill and the families of those who have died,” he added. For more information about preventing foodborne illness or about C. perfringens, visit cchealth.org. WHAT: The Health Science Academy at Ygnacio Valley High School (YVHS) in the Mt. Diablo Unified School District (MDUSD) has been named by the California Department of Education (CDE) as a California Partnership Academies (CPA) Distinguished California Partnership Academy. YVHS is one of seven to be conferred with the award from a field of 409 nominees and 14 finalists. WHEN: Honored academies will be recognized at the CDE’s 30th annual CPA conference in March. The California Partnership Academies (CPAs) were established to prepare high school students to succeed in both college and careers. Each CPA frames its curriculum around one of the 15 industry fields established for Career-Technical Education by the CDE. Each year students take classes together, including core academic subjects and at least one career-technical course related to the academy’s career theme. A team of teachers works with the same group of students over their high school years, linking instruction across disciplines and over time. Employers provide internships and other opportunities for students to learn outside the classroom. Career academies have become an important part of the current Linked Learning initiative in California. Ygnacio Valley High School was notified recently that its Careers in Education Academy has been nominated as a Distinguished Academy for next year; it is now preparing for the audit and site visits associated with that nomination. To visit Ygnacio Valley High School, please contact Principal Efa Huckaby, (925) 685-8414, huckabye@mdusd.org, or Communications Specialist Ursula Leimbach, (760) 705-6919 (cell), or communications@mdusd.org. On Monday, December 12, 2016, the Contra Costa County District Attorney‘s Office and the Contra Costa County Public Defender’s Office stipulated to the dismissals of three felony cases, ten misdemeanor cases, and two infraction cases involving former Pittsburg Police Officers Michael Sibbitt and Elisabeth Ingram. The officers were witnesses in all of the prosecutions. Issues had arisen in three of the cases over the failure to provide timely production of information to the court concerning the officers. The dismissed cases included infraction charges of Petty Theft and Disturbing the Peace; misdemeanor charges of Petty theft, Resisting Arrest, and Providing False Information to Police, and Possession of Controlled Substances; and felony charges of being a Felon in Possession of a Firearm, Unlawful Taking of a Vehicle, Possession of Stolen Property, and Commercial Burglary. Only one of the dismissed cases involved a prison sentence, and that individual’s time in custody was served in county jail. The remainder of the dismissed cases involved either fine penalties or county jail sentences, with the longest county jail sentence being 180 days. It is important to note that the officers involved in this matter no longer work for the Pittsburg Police Department. Sacramento, CA – Today, Assemblymember Jim Frazier (D – Oakley) introduced AB 63, legislation to reduce vehicle collisions and fatalities among teen drivers by strengthening California’s provisional driver’s license program. AB 63 would increase the maximum age to receive a provisional license to 21 years old guaranteeing that less experienced drivers have appropriate protections during this crucial learning period, by amending Section 12814.6 of the California Vehicle Code. It is estimated that one in three drivers do not receive their license before the age of 18, making them ineligible to participate in the provisional license program. A recent report from the Governors Highway Safety Association discovered that improvement in fatal crash rates among 18- to 20-year-old drivers was far less than their 15- to 17-year-old counterparts. To read the complete text and Legislative Counsel’s Digest of the bill, click here.